CATFISH PRICING–The Catfish is on sale NOW. Our goal is to offer customers a car with head-turning style and quality construction, while still making it affordable, reliable and safe. The platform is there to take your Catfish’s performance to race or super car levels. 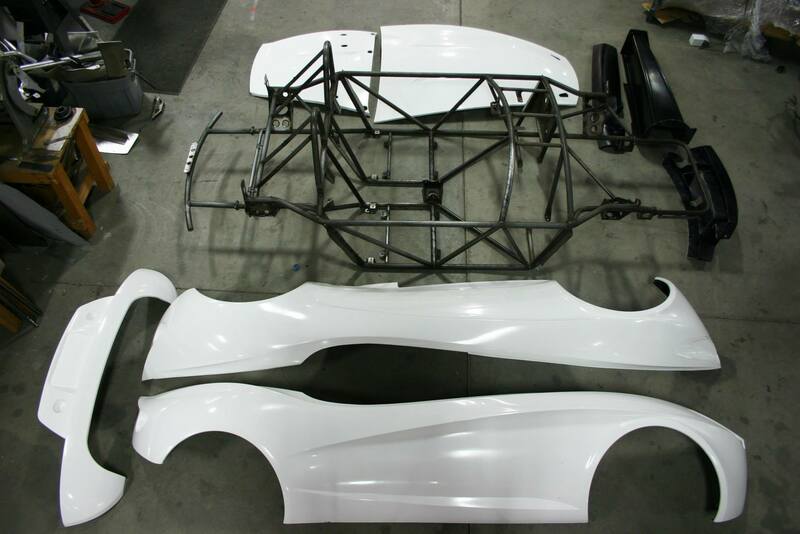 Pricing is for the body, frame and main parts to build a car. Donor car parts are required. The Catfish straddles the line between track and street, and it’s up to the customer whether they want to build a no-holds barred race car, a streetable sports car, or both. We also offer a “pre-build” service that can greatly simplify and speed up the build time. Contact us for more details. Find a 1990 to 2005 Miata with a strong engine and drive train. Models with 1.8 liter engines are preferred. Body damage, worn seats or a torn top really don’t matter, although they may indicate whether the owner takes care of his or her car. 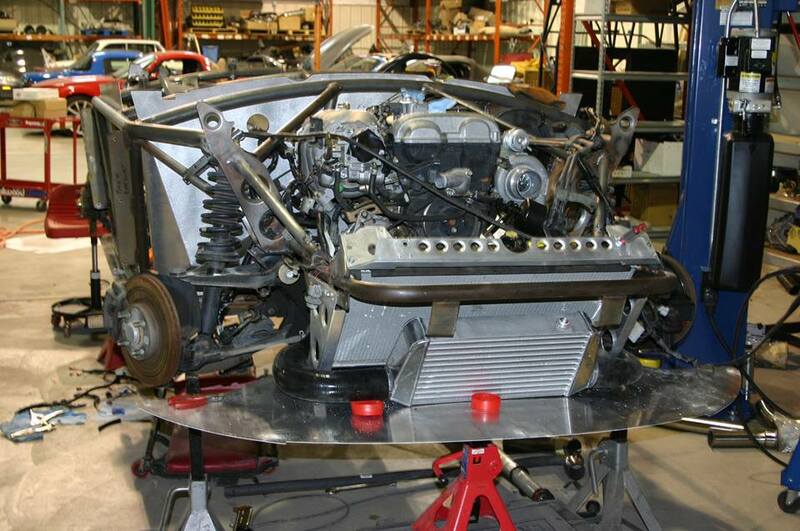 The uni-body will eventually be removed so that the Catfish tube frame can be lowered over the suspension and engine. When you place an order, we can discuss all the details of the preparation process. If you’re reasonably handy with tools, expect to spend a weekend preparing the donor car…it might be the Miata you own now. The good news is that a portion of your build can be offset from the sale of the parts you won’t be using. New and refurbished parts are also available, including refurbished engines with new internals and warranties. HOW LONG WILL IT TAKE AFTER I ORDER A CAR? Turnaround time on Catfish production varies, but that will depend on our current work load, and any special requests made during the build. Plan on 30 days for a typical build. HOW DO I GET MY CAR FROM CALIFORNIA? There are several transport services available, or you can drive pick up your kit in sunny San Diego. 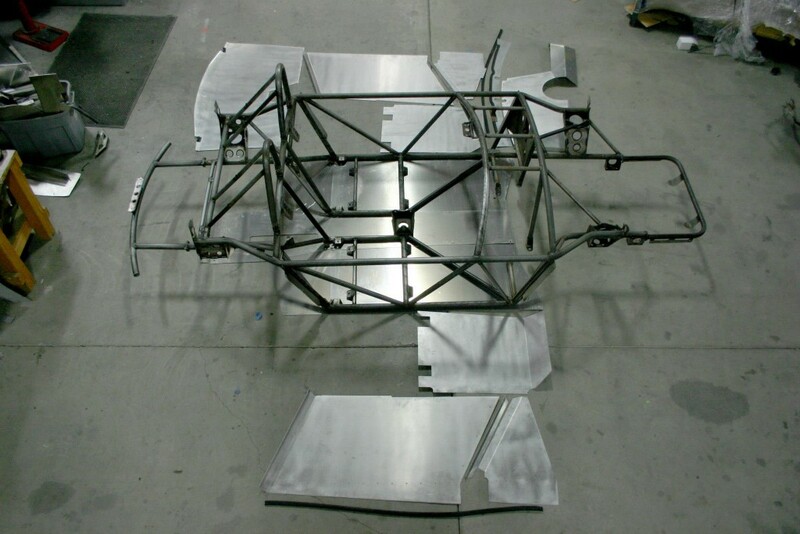 The semi-assembled car can be shipped on rollers with the bodywork temporarily attached to the frame, so even car shipping services are an option. For example, check out www.uship.com for estimated shipping costs. HOW MUCH MONEY IS REQUIRED TO RESERVE PRODUCTION? No money is required to reserve your production spot, but a 50% deposit will be required when production starts on your car. Final payment is due when the Catfish is ready for shipment or pick-up. Want a production spot? Send your name and contact information to cb@bauerltd.com. WILL THIS CAR RETAIN THE DONOR CAR’S ABS SYSTEM? If the car was equipped with ABS, it may be retained. WILL THE CAR HAVE ANY TYPE OF ROOF? A roof and windshield have been designed, but will not see production in the first year. WHAT SIZE WHEELS AND TIRES WILL THE CAR USE? AS AN EXAMPLE, CAN IT RUN 245/40-18 TIRES ON A 18X9 WHEEL, ETC.? The current wheel sizing is 17″ x 8.25″, +25 inset. The current tires are Toyo Proxes R1R, 245/35-17, and are fantastic. That’s 9.6″ of tread width. The general range is 15-17″ diameter rims, 8″ up to 10″ width with careful spacing, and a recommended tire diameter of not more than 24.5″. DO YOU HAVE ANY COMPLETED 4CYL OR 8CYL CARS AT THIS TIME? Yes, we’re on frame #14 and have a few cars in various stages of completion. The prototype race car campaigned by AIM Tire Distribution won the 2013 NASA Western Endurance Racing Series in the ESR class. Catfish #1 car is now driving the roads of Southern California and has visited Laguna Seca and the Streets of Willow. It will have turbo power very soon. STREET LEGALITY; IS THIS STREET LEGAL IN ANY STATE CURRENTLY? IS IT CONSIDERED A MAZDA MIATA OR DOES IT COME WITH A TITLE AND VIN#? Legality will vary by state, and licensing will be up to the owner. In California there is an SB100 voucher system for “special construction” cars. This is the system that’s used to license an Ariel Atom for the street, for example. A personalized VIN number, plaque, and manufacturer’s statement of origin (MSO) is included with every car. Our first car was licensed in California using the SB100 process. DO YOU HAVE ANY PERFORMANCE STATS FOR A BASE CAR ON STREET TIRES? AS AN EXAMPLE, A BASE CAR WITH A NA OR NB MOTOR/TRANS COMBO, 0-60, 1/4 MILE & TRAP SPEED, LATERAL G’S, BRAKING FROM 80 OR 60MPH TO ZERO AND SO ON? Sorry. The only stats we have on the car is that the SEMA car weighs 1,550lbs and can house an engine with a horsepower range from 90whp to 400whp, or more. At 400whp, HP to weight ratio is an estimated 4.375:1. A data acquisition device is being developed now and will be available to Bauer Limited Production customers at rock-bottom pricing. It will give g-forces, lean angle, yaw, will tether control one GoPro camera (record on/off), and will have sensor inputs for throttle position, linear potentiometers, temperature, gear selection, and more. We are producing our first cars now, and many small details shown now on the website have already changed. The main points are found in the “Essentials” section, and have not changed. Still more questions? Review the “Essentials” page for a list of what’s included with each kit. Then Contact us via the Comment form or “Contact Us” box with general questions about the build.